Following in the older camper's footsteps, mini campers took on Rivervale's 35-foot rock wall Tuesday morning. 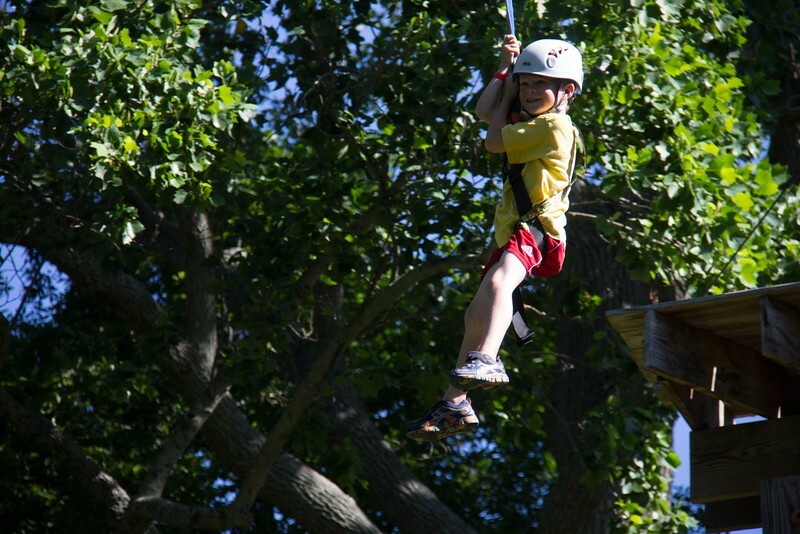 Some brave campers even went down our zip line. These fearless kids won't let anything stand in their way, especially with God on their side! Per Rivervale tradition, each camp has a cookout on their last full night on site. 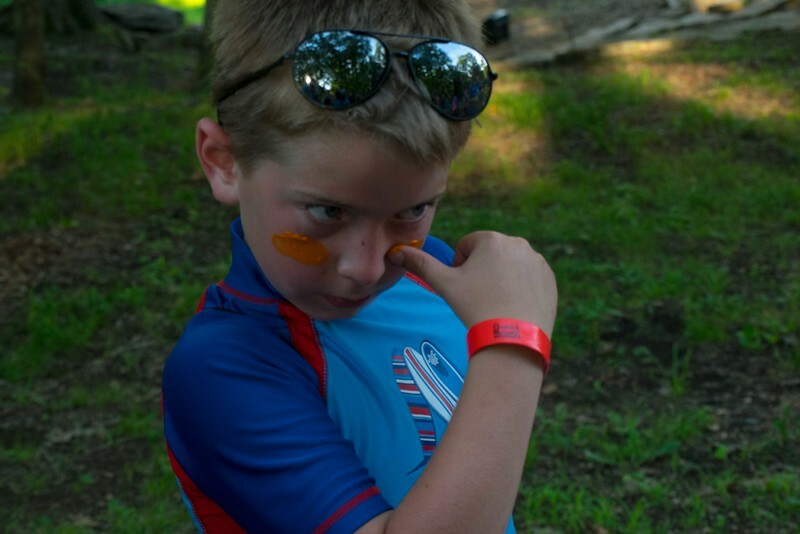 Our mini-campers are no different! 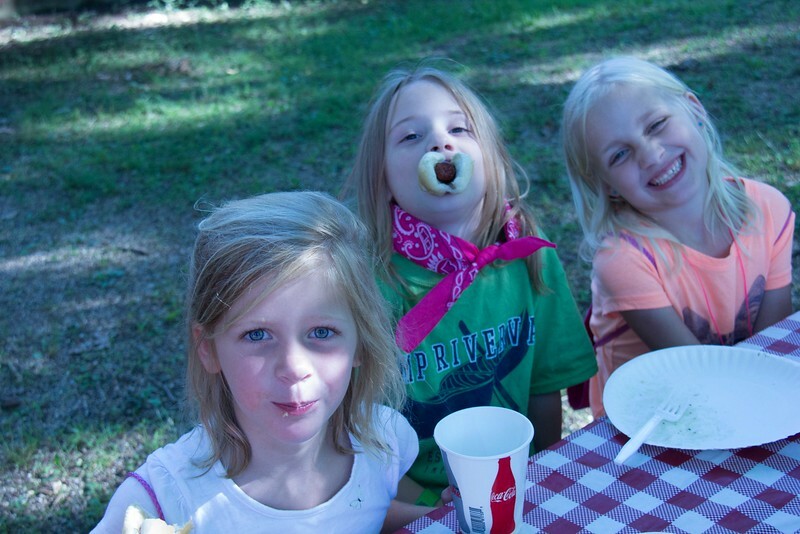 Rivervale staff treated the little ones to grilled hot dogs and hot s'mores for an authentic camp experience. 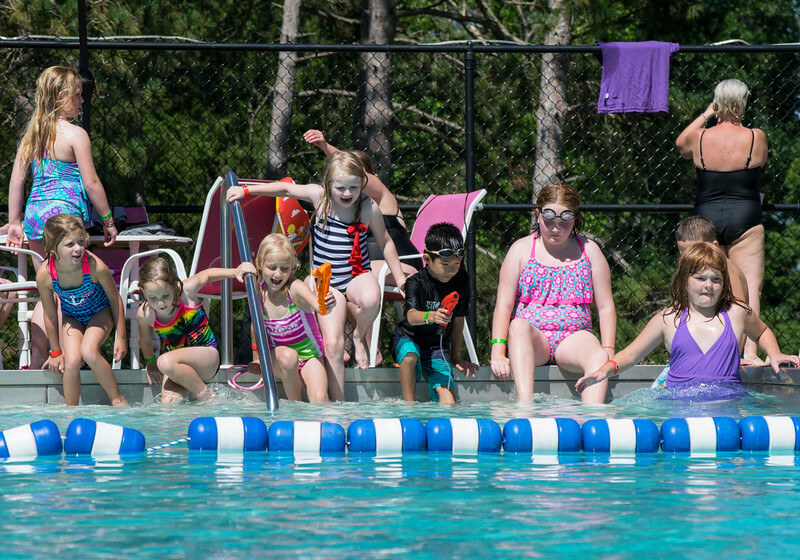 To cool off, our junior explorers met up with some of the older campers to take a refreshing dip in the pool. 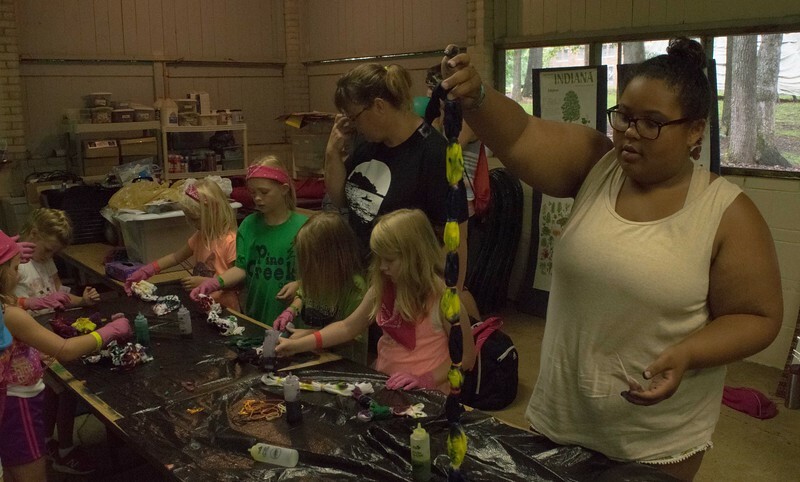 Before lunch on Monday our mini campers completed a fun activity that no camp would be complete without: tie-dye shirts! Look for these colorful crafts in your child's take-home bag! 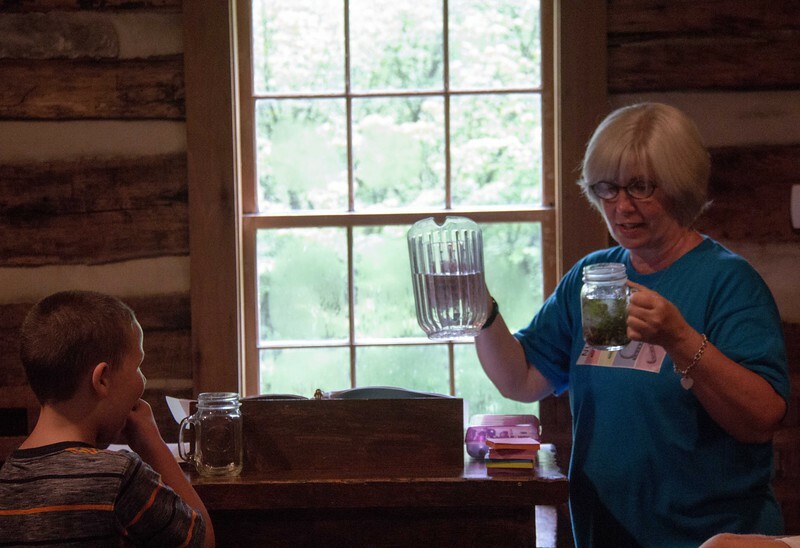 This morning our mini campers participated in a meaningful lesson about how what we see, hear, and even taste reflects in our behavior and how the world perceives us. 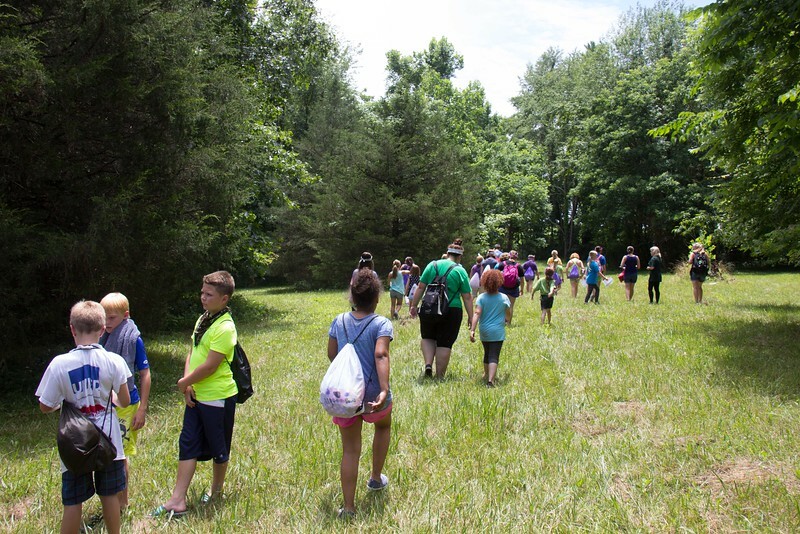 Campers were encouraged to fill their senses with Jesus Christ and reflect his love every day. Parents said a heartfelt goodbye to their young ones this afternoon as Rivervale kicked off our first Mini Camp catering to kindergarten through second grade students. 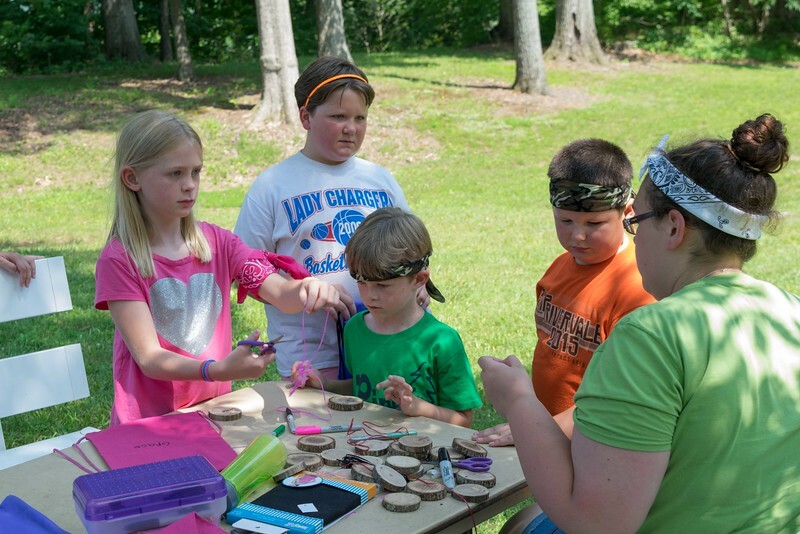 After checking in and leaving the campers in more than capable hands, a craft table was set up in the shade for little ones to pass the time.